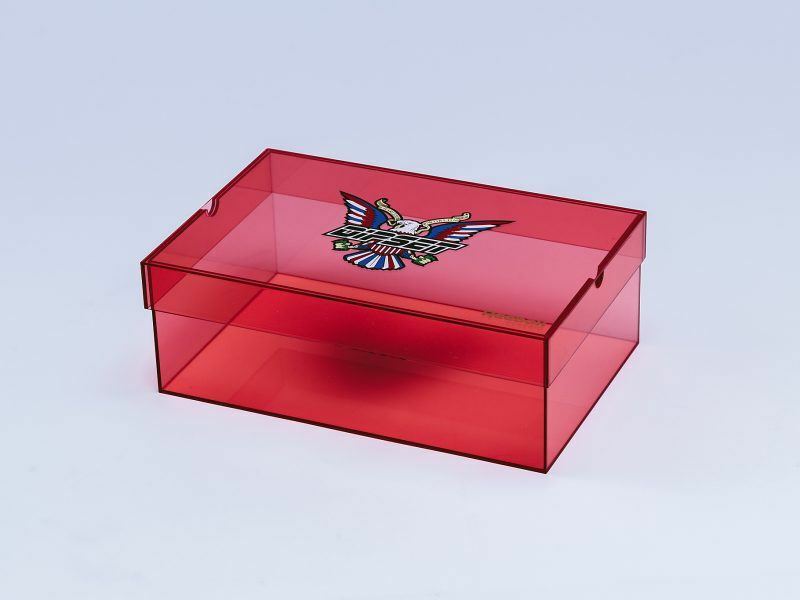 Stock pink colour transparent perspex, standard lid and base sneaker box with top side finger lift. 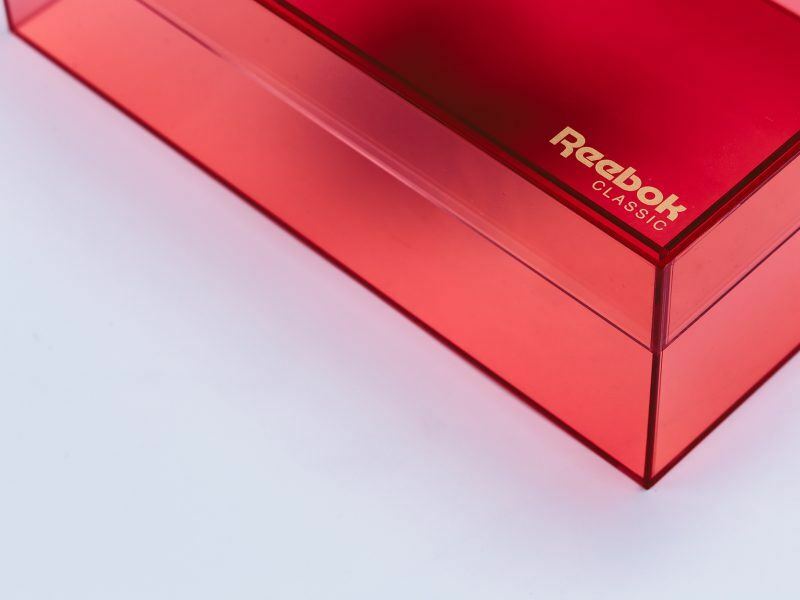 Artwork screen printed onto lid surface in seven colours plus Reebok logo in gold. 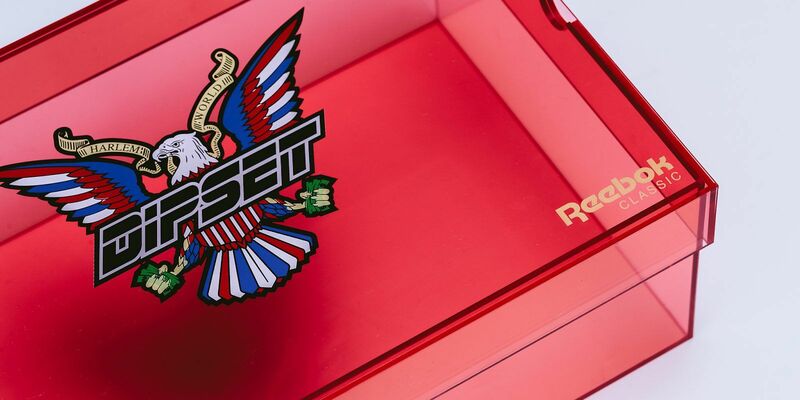 Sea freighted for a seeding project for Reebok x Camron sneaker collaboration. 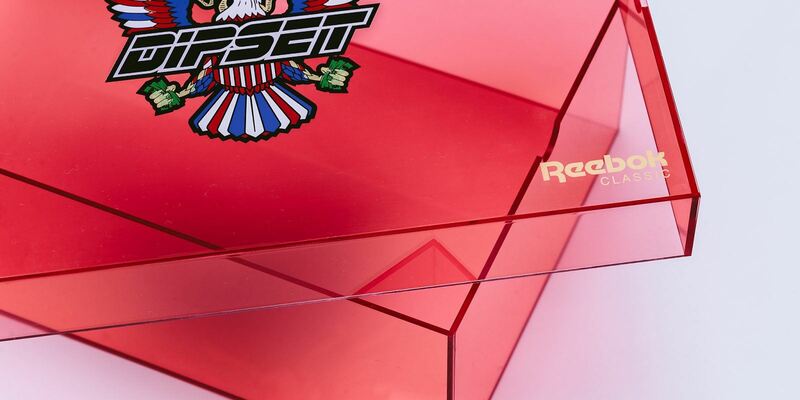 Delivered intact due to special protective outer packaging.